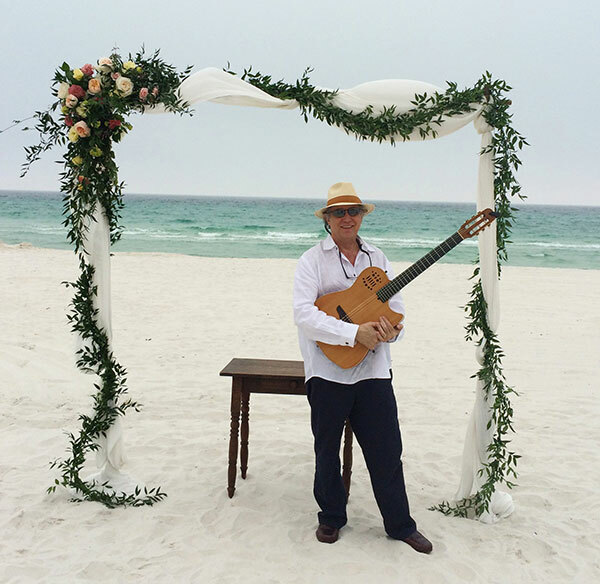 Art Carnrick is available for hire as a Classical Guitar Musician in the Pensacola Florida Area. With over 40 years of experience you can rest assured he will bring a sweet melody to your wedding, corporate event, or private party. Art plays a variety of styles that will fit perfectly with your next event. He is a master in spanish acoustic classical, godin electric classic or classical guitar. Contact Art Carnrick for your special event!